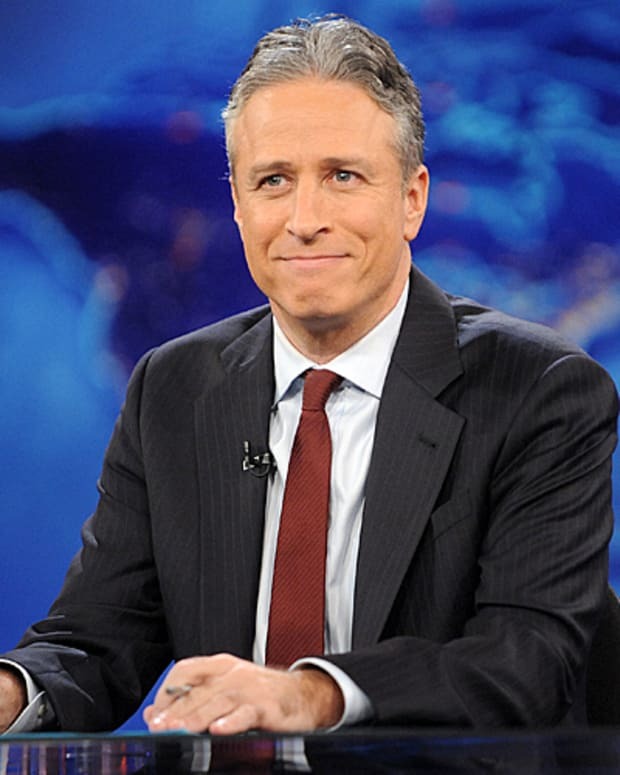 Jon Stewart tackled the explosive protests in Iran as well as the media&apos;s coverage of the events on his Daily Show Monday night. Stewart talked about the partisan jockeying over Obama&apos;s reaction to the revolution, while Aasif Mandvi, the Daily Show&apos;s senior correspondent, said the West was to blame for the chaos. The show also aired a Jason Jones report from Iran. For more of the Daily Show&apos;s Iran coverage click here. "The Daily Show" Makes Fun of Fox News Hosts' Views on U.S.
Ron Paul Talks Big Government with Daily Show's Jon Stewart"